It was windy today in Hutchinson, Kansas. All together now, for everyone who remembers Johnny Carson: "How windy was it?" 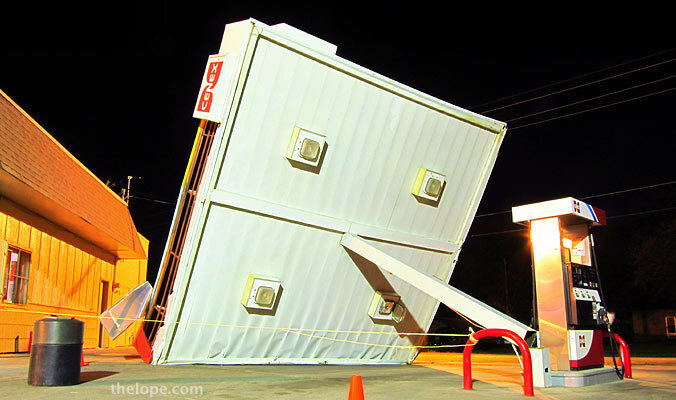 The wind gusted to as much as 60 mph - enough to snap the awning over the Cenex convenience store at 11th and Severance at about 5PM. Elsewhere in town, a commercial roof blew off, limbs were down and electrical, cable TV and Internet service were disrupted.